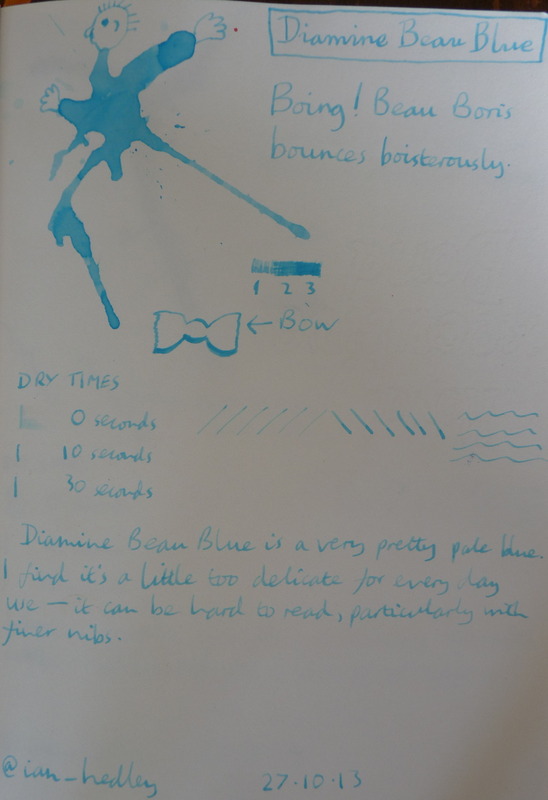 Diamine Beau Blue ink review – Pens! Paper! Pencils! Another lovely shade of blue from Diamine. The colour looks a bit washed out in this photo but that’s actually a fair reflection of this ink. It’s a very pale and delicate colour. Too pale for me for day to day writing because, particularly with medium or fine nibs, it’s hard to read. If you’re one for big fat juicy italic or stub nibs it could suit you very well. For me, it looks very pretty particular when combined with something bright like Diamine Blaze Orange.